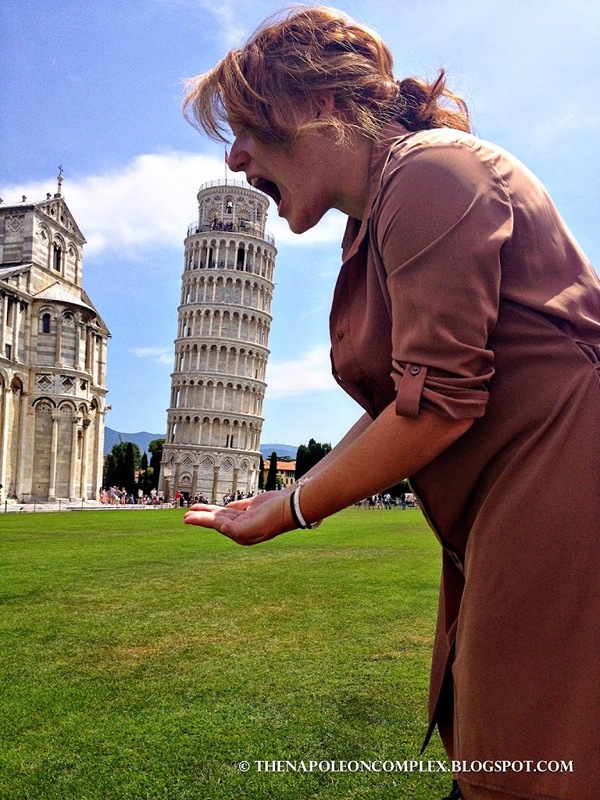 But I’ve decided to conquer my fears of being attacked by a mob and tell you the way I really felt about Pisa. To me, it has been a place to stop on the way to another destination, not the destination itself. 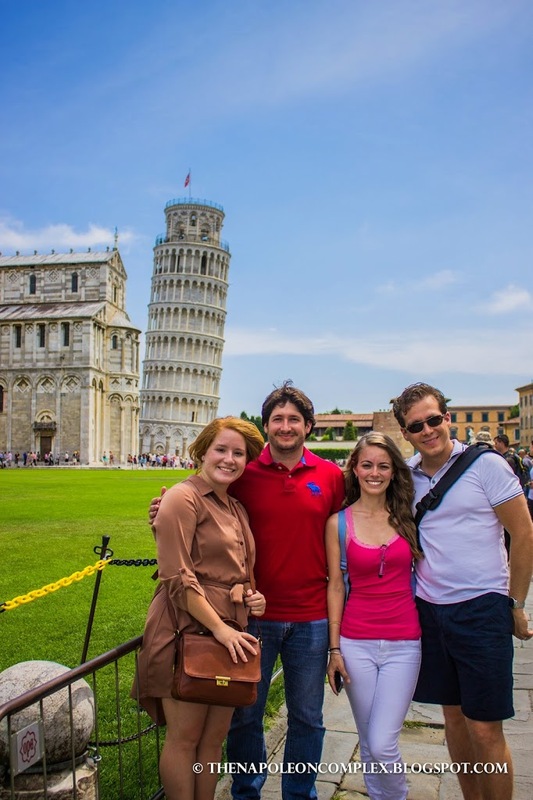 By all means, if you just need to see the Leaning Tower of Pisa and take wacky pictures with it, then make it a stop on your trip to Italy, but really that’s the only thing there is to do there. All that being said, one thing that has stood out on our trips to Pisa has been this super cute little sandwich place not too far from the Leaning Tower called L’Ostellino. The two times we’ve gone has been around lunchtime and these €5 sandwiches hit the spot. All fresh ingredients, about 10 pages of different ham and cheese combinations and some good ol’ Tuscan wine to wash it all down. The only downside is that it’s a very tiny place so there’s not much room to sit down, especially if you come at peak hours. If you’re looking for a cheap lunch in Pisa, this is the place to go to (you can find it on Yelp or TripAdvisor)! 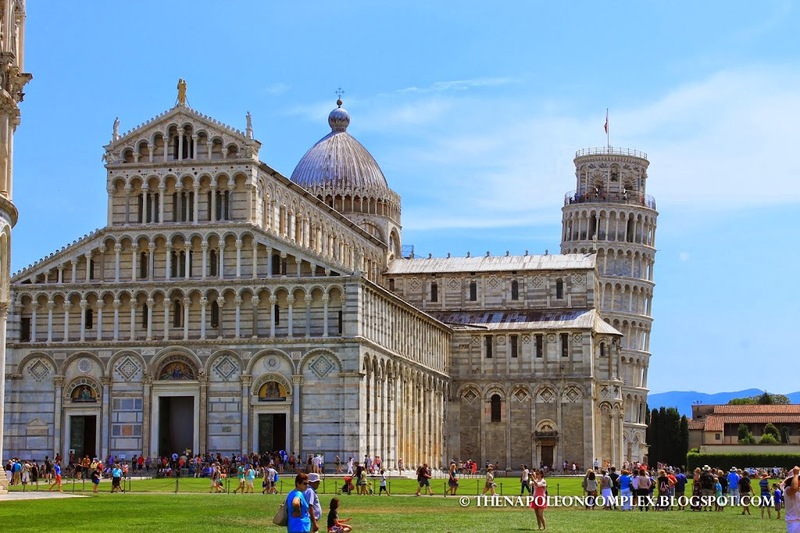 The Leaning Tower of Pisa, in Italian called La Torre Pendente di Pisa is the bell tower of the cathedral of Pisa, which as most people know, is unintentionally tilted to one side due to the lack of adequate foundation. 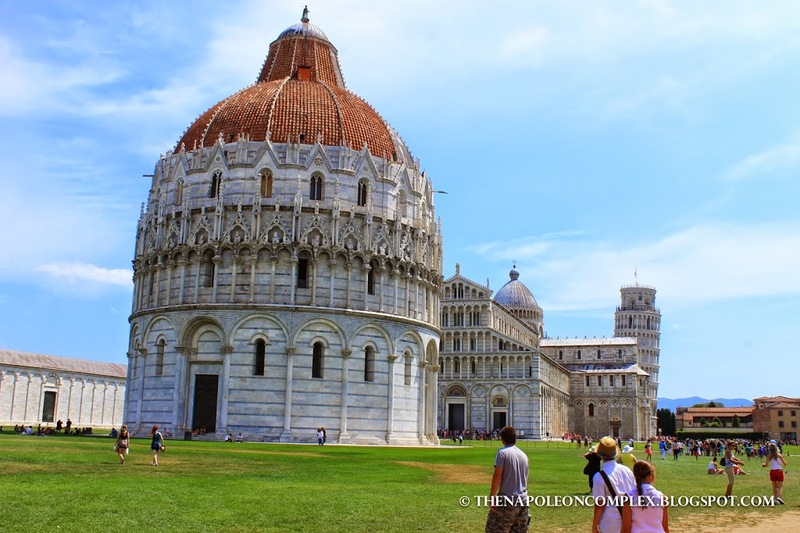 It is a UNESCO site, part of Pisa’s Piazza del Duomo along with the baptistry and the Camposanto Monumentale (the cemetery), and the Cathedral itself. Here are some of the pictures we took that day, as well as a panoramic shot I had saved from the first time we visited in back in March. iPhone Panoramic from a rainy day in March. Obviously we had to have some fun with this. Thankfully, the second time we went the weather was much more agreeable. 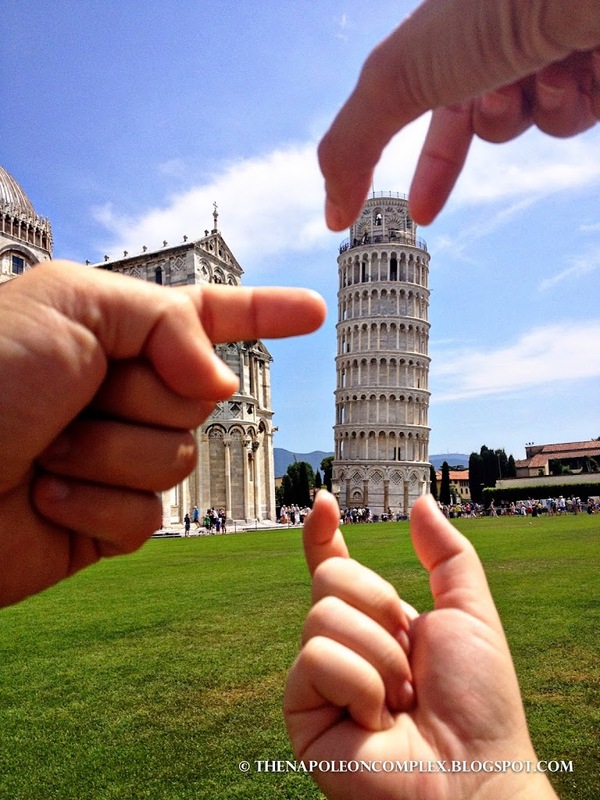 Your weather looks much nicer than when I visited Pisa! Yeah that day was very nice. But we also went in March (and you can see the first panoramic) and the weather was terrible. But the summer in Italy tends to be very sunny and dry.